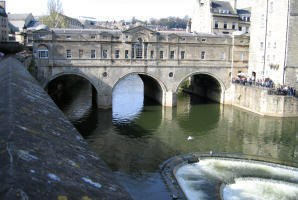 Eighty five people attended the 2007 Easter Rally which took place in the World heritage City of Bath. 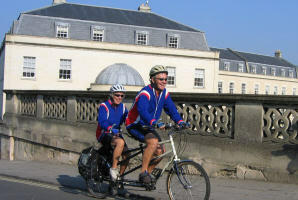 The city, renowned for its Roman Baths, Georgian Crescents and Abbey, has access to a variety of interesting destinations for a Tandem Club Event. 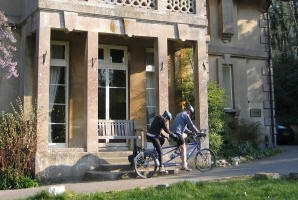 The event was centred on the Youth Hostel with members also staying at Newton Mill Campsite, Bath Marina and various private establishments. 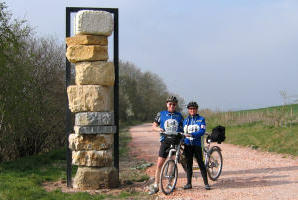 Each day a long and short ride was offered with both routes sharing a common section for the morning. On Friday we visited Castle Combe via Marshfield (everything in the village was shut for Good Friday). Luckily, the coffee shop in Castle Combe was open for business. 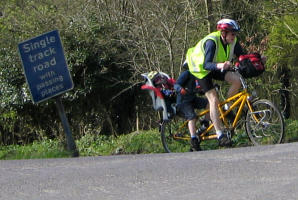 The long route continued on to Lacock. The weather was superb. 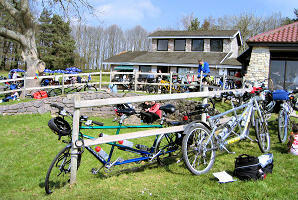 Saturday saw us visiting Chew Valley Lake with the long route circumnavigating the lake. 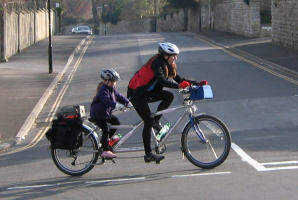 On the return we used part of the Bristol-Bath cycle path and visited the centre of Bath. Easter Sunday dawned with more sunshine and several people attended Morning Service in Bath Abbey. 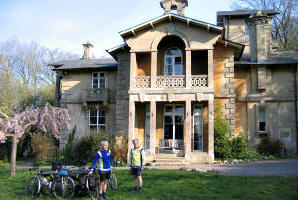 The route included the Kennet and Avon Towpath towards Bradford-on-Avon and returned via Great Chalfield Manor. At the end we were faced with a steep climb up to the Landsdown Lawn Tennis and Squash Racquets Club at Landsdown where a Buffet meal had been laid on. 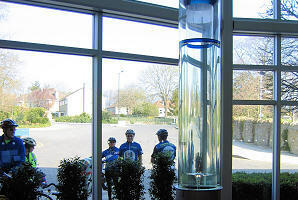 This was an opportunity for everyone to socialise before attending the AGM or returning to their various accommodation. Mist over the City greeted us on Monday morning but this soon cleared for our visit to Radstock via Wellow. 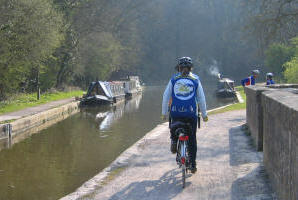 Those with more time were able to explore a new section of cycle path which extends towards Frome with a return through Mells and Kilmersden. Mells is the village of the Little Jack Horner nursery rhyme, and Kilmersden is noted for the hill made famous by Jack and Jill who went up it. Thanks to everyone who attended and contributed towards making this an excellent rally. 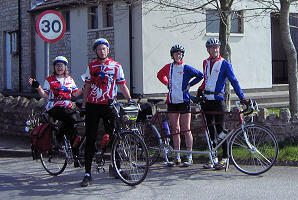 The Hostel staff were especially pleased to have such a friendly group staying and would be pleased to see us again.